We have decided to wait long enough for this patch for the amount of added content. Without a doubt this is an important patch and after hard work and talking in detail every change, we bring you this new update. [Bugfix] We have fixed a bug with the "Kukukeen" debuff. [Bugfix] Fixed some skill problems with SP7. [Bugfix] Error that took you to an area that you can not walk sometimes with the teleport to the path of Grenigas from the Priestess at the volcano gate. [Bugfix] We fixed a problem that prevented getting the reward of the last boss of the heroic time-space. [Bugfix] Fixed the problem that sometimes caused the "Crusader" to automatically using first skill after using others. [Bugfix] Now the monsters will no longer keep the follow-up fixed on a character, if it goes too far, becomes invisible, dies or spends a lot of time without being able to reach it, they will lose it. [Bugfix] Now in the general maps you will no longer be followed by all the hostile enemies without limit, they will only take agro 5 per entity. From now on the gold acorns will be bronze acorns. Note: The system will follow that the last 3 will gain 5 acorns; the third will win 1 bronze acorn, the second 2, and the first 3, and to qualify for that possibility, a minimum of 4 participants will be necessary. [Change - Transformation of acorns] Since gold acorns will now be bronze ones, users who have gold acorns after maintenance will have been exchanged for bronze acorns. [Change - Balance of acorns] Since the system of acquiring acorns will change slightly, the shop of crafting with acorns will also be changed. [Change - WorldBoss and Swirl's Ocean Schedules] From now on, these two events will open half the time per day to be more productive. [Change - WorldBoss Up!] The rewards of the WorldBoss have been updated and now each one has certain peculiarities, they have also been changed and added some new boss. 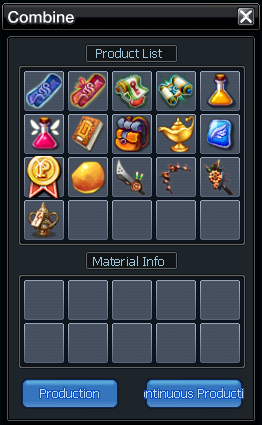 [New - Utility store] New crafting shop in Nosville through event coupons. (These can be achieved by doing activities such as WorldBosses, Swirl's Ocean Game or others). [New - Continuous bonus in Nosville] From now on you will get a reputation for being in NosVille. Now playing is always a win! [New - Raid Caligooooooooooor] From now on the Raid of Caligor is available, the golden titan. (+ Info in the next post). [New - Multicient] Now you can open several games from our launcher. [Double Exp and Double famous!] Double experience and double reputation event is already activated, for more information click here -> Double Experience - Fame. [The key goes away from the Simpsons - Less HTS and Heroics] From this moment the keys to perform the Heroic TS and the Partner TS will not be necessary, therefore they will be eliminated from the inventory and the Hidden TS of 70 and will no longer be They will receive when connecting daily. [Cya babe - Eastore says goodbye] We say goodbye to Nube and his Eastmall store, we hope it goes well wherever he goes. Soon there will be news about the donation system. [The END - Christmas Event] The Christmas event has come to an end. All event objects will be deleted (list below), the access to the event maps will disappear and Nosville and Port Alveus will return to normal. Special gift box of Santa Claus, Christmas toy, New Year's toy, Golden H, A, P, Y. Normal: N, E, W, Y, A, R. Happy New Year Golden Box, 1622, Chocolate Cake, Fresh Cream Cake, Rudolph's Pet Trainer, Christmas Gift Box, Pyjama Upgrade Scroll, Santa's Blessing, Rudolph's Blessing, Christmas Blessing, Mysterious Bell Bag, Christmas Costume Box , Magic wool, Magical Knitting Needle, Ice Costume Scroll (Event), Golden bell, Silver bell, Bronze bell, Jingle Bell, Christmas Stocking, Small Christmas Box, Medium Christmas Box, Large Christmas Box, Movement Scroll (Event), Movement Scroll, Snowman Raid Seal, Sealed Christmas Vessel, Snowman jeweler, Eastmile Christmas gift box.